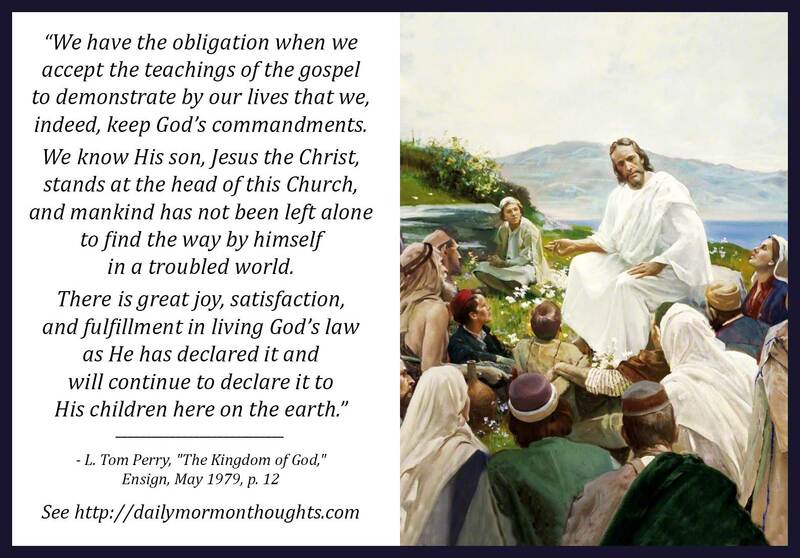 "We have the obligation when we accept the teachings of the gospel to demonstrate by our lives that we, indeed, keep God's commandments. We know His son, Jesus the Christ, stands at the head of this Church, and mankind has not been left alone to find the way by himself in a troubled world. 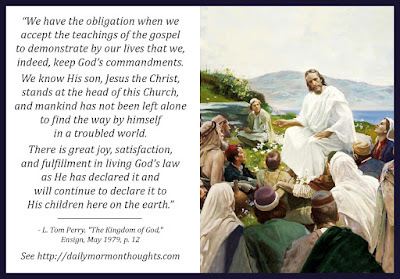 There is great joy, satisfaction, and fulfillment in living God's law as He has declared it and will continue to declare it to His children here on the earth." How is life different for one who is striving to be "a citizen of the kingdom of God"? Are there evidences of this commitment? Elder Perry believes it should be obvious and visible "in his appearance, his actions, the way he treats others, and the way he serves his fellowmen and his God." 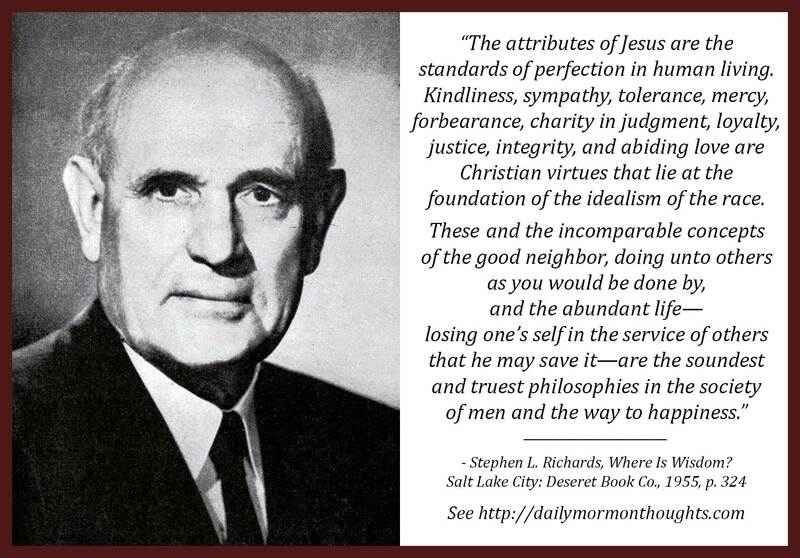 Discipleship should be evident and clear; one who strives to follow the Savior should act and behave like the Savior. To consider "the attributes of Jesus" and evaluate our own in comparison is a good ongoing exercise that will help us find areas where we can still grow and improve. Truly, emulating these principles is "the way to happiness" in this life. 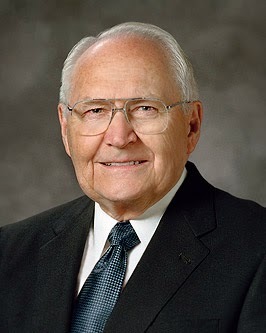 It is not our words, but our lives, that should testify and demonstrate we accept the teachings of the Lord's gospel.